One of the best kept secrets in whale watching experience is this superior location in Bahia Banderas. The humpback whales migrate from the North Pacific, 4000 to 6000 miles away. They come here each year to give birth and to mate. They like is area better because of its warmer and shallower water. This area also provide better protection from predators. The popularity results in high concentration of whales allows for the whales to find their mates much more easily. 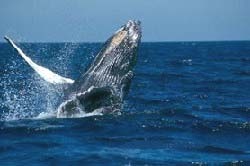 Whales starts to arrive Bahia Banderas in November. The Mexican government only allows whales watching after December 15th. This is to give the whales time to settle down and get use to the area. We have a fantastic whale watching experience of a lifetime at a Mexican resort. Four unique experiences to choose in your room to pamper you including distinctive fragrances, essences, flowers, colors, and music to convey: Joy of life, Romance, Renewal and Peace of mind. * Rates are in US Dollars, per person based on double occupancy, plus applicable taxes, service fee and resort fee. Black out and restrictions may apply. 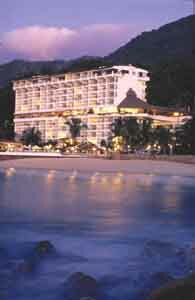 Extra night $189.00 plus taxes/fees. Extra person $50.00 plus taxes.